The Mustard Caddis is arguably the most well known, and most fished Yellowfish fly in South Africa. 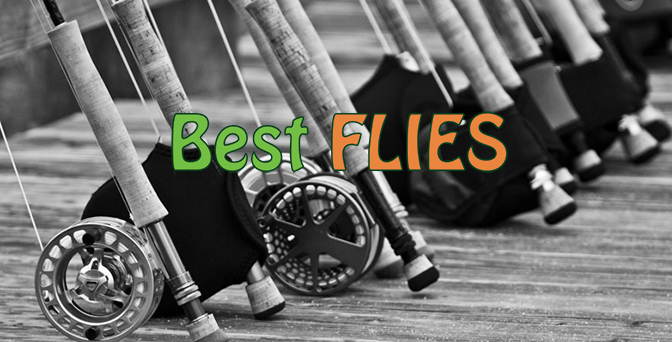 It is a very versatile and heavy nymph, which means it is the perfect control fly to use in your short line nymphing, New Zealand nymphing or Czech nymphing techniques. The Mustard Caddis get’s your point flies to the bottom quicker and imitates Caddis pupae and larvae, of which there are an abundance in our river systems. If you have a chance, try picking up some rocks in rivers like the Vaal and the Orange. You are almost certain to find a caddis that looks exactly like your Mustard Caddis – same shape, same colours. This is what makes up a big part of the river fishes diet, especially Smallmouth Yellowfish. 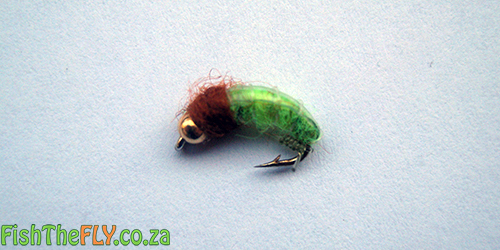 The caseless caddis fly is imitated perfectly here and could be called South Africa’s version of the Czech Nymph, except the Czech Nymph is often tied without a bead, whereas the Mustard Caddis is almost always tied with a bead and is less buggy.